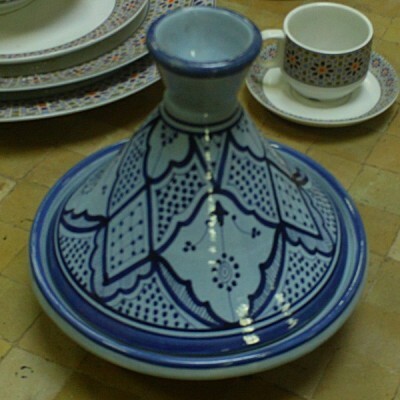 Decorative Moroccan Tagine hand painted with "Blue of Fes" coloured patterns. 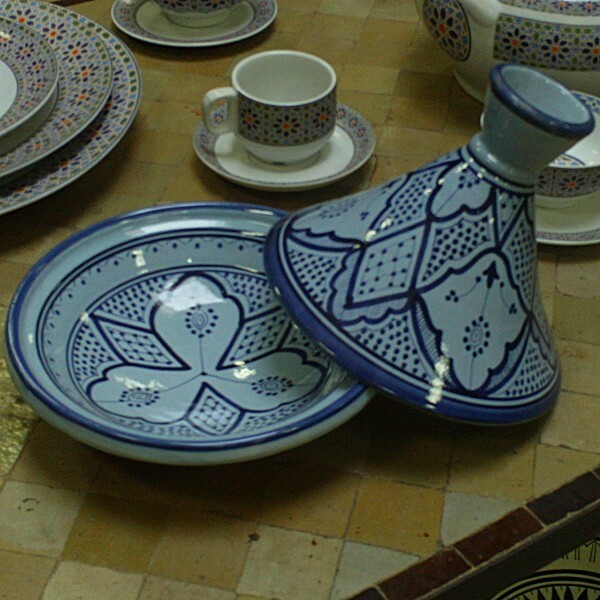 Decorative Hand-crafted pottery of Safi, Morocco. Not use for cooking.